The growing concern over the haphazard and inconsiderate use of herbicides has caused professionals and domestic gardeners to find alternative ways for weed control. 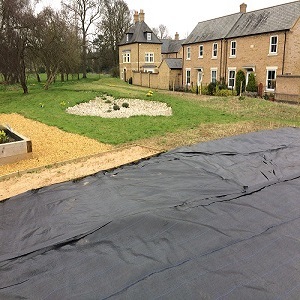 One such way is the use of a weed control fabric. 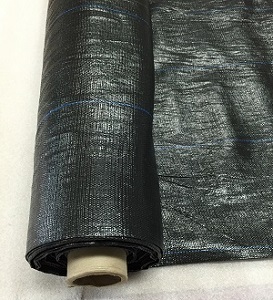 Being of a woven finish, these fabrics allow water and gas exchange, while at the same time significantly reducing light penetration. This effectively reduces weed seed germination. In choosing a fabric for weed control, you should go for the widest fabric available in the shop. The wider the fabric, the less overlaps there will be. In addition, if you want your sheet to last for years, get the one that is UV stabilised. That way, the fabric’s longevity is increased because it is protected from direct sunlight. Before installing the weed control fabric, shear off the grass in the area and then use a rake to flatten the bumps and dips on the ground. Aside from flattening the ground, also remove any sharp and pointed objects to avoid puncturing and damaging the fabric. A weed control, fixing peg (also known as ground staple), is also needed for the installation to serve as an anchor for the fabric. For very soft to medium grounds a plastic peg should be used, while the metal pegs are used for hard or stony surfaces. The ground staples available at allplas.co.uk are made of galvanised steel to ensure the stability of the item. Once the weed control fabric has been laid and anchored in position, simply cut a small ‘x’ on the fabric at a the point where you want to plant the trees. Start by cutting small portions to prevent the fabric from damage. However, you can still cut it according to the size of the tree or plant that you wish to place in the garden. After cutting the fabric, peel back the fabric, plant the seedling, push the fabric back and its done. For further advice on weed control fabrics, please speak to an allplas.co.uk representative by calling +44 1462682663. Alternatively, you may leave a message by completing the Contact Form. 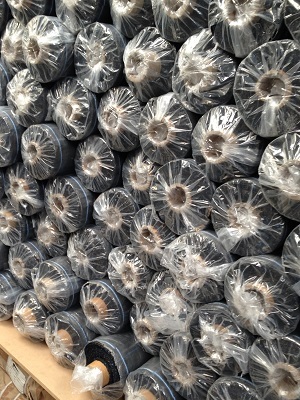 allplas.co.uk is also a manufacturer of top quality PVC tarpaulins, netting products and a lot more.